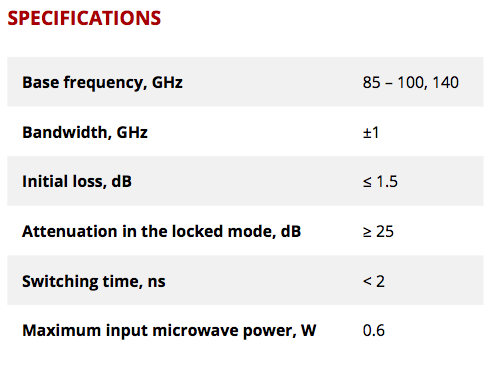 Waveguide modulator on PIN diodes is designed for switching and amplitude modulation of the input microwave signal. The device is reciprocal (S21 = S12). 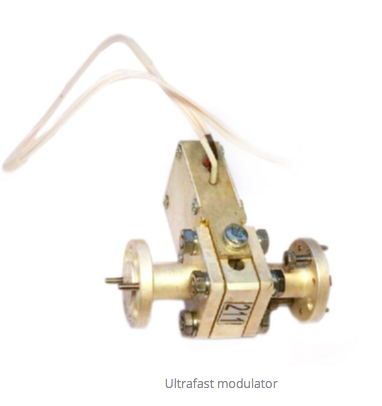 The modulator consists of a waveguide section (Mod) and a submodulator (SubMod). A silicon PIN diode with a thin base (i-layer) is used as an active element in the waveguide section. The p-type and n-type regions of the PIN diode are typically heavily doped because they are used for ohmic contacts. The wide intrinsic region (i-layer) makes the PIN diode an inferior rectifier (one typical function of a diode), but it makes it suitable for attenuators, fast switches, photodetectors, and high voltage power electronics applications. The scheme of switching the diode into a waveguide line is resonant. 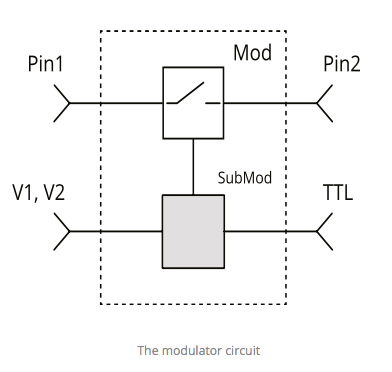 The submodulator is made according to a scheme that ensures fast relaxation of the space charge in the base of the PIN diode. 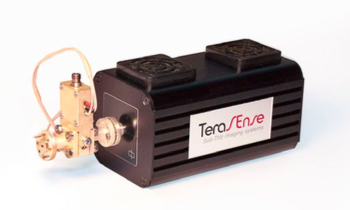 The ultrafast modulator offered by TeraSense is fully compatible with our 100 GHz, 140 GHz and 300 GHz wave sources. TeraSense modulators can be used as RF switches and attenuators.